Croft Cottage is a three bedroom spacious apartment which can sleep up to 5 people. 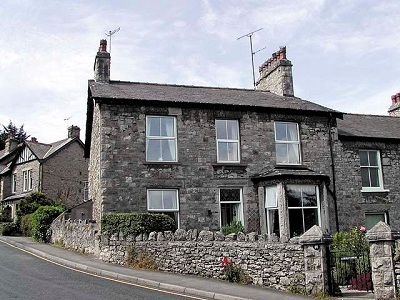 It is located in the estuary village of Arnside on the Kent Estuary, on the southern edge of the Lake District National Park. The amenities of the village promenade are just 300 metres away which include a post office, 2 pubs serving food, boutique and gift shops, bakery etc. Although the apartment is on the 1st floor, it shares the enclosed garden below with the owner. The living room is comfortably and tastefully furnished by the owners with a sofa and 2 armchairs. There is a TV, DVD player and video player for entertainment. The kitchen/diner is well equipped with a dining table and chairs as well as an electric oven and food processor. There are three bedrooms: double, twin and single room and a bathroom and separate toilet. Regrettably, the owner does not allow pets in this property.